Discussion in 'Animé Polls' started by Apslup, Sep 16, 2018. I've been thinking recently about what Ash's ideal team would be. After some research looking into moves, feats and my own personal opinion, I have come up with what I think would be Ash's best team. Feel free to post your teams! 1. No Sun and Moon Pokemon, since that series hasn't ended yet and we haven't seen everything Ash's Alolan Mons can do yet. 1. Pikachu: I mean he has to be on here. He's Ash's first Pokemon, has been with him since Episode 1 and has the strongest bond with Ash. For a scrappy little Electric Rodent, he has had a lot of good showings over the years, such as taking out Drake's Dragonite in the Orange League (which had already knocked out 3 of Ash's other Pokemon), taking out Clair's Gyarados, taking out Tyson's Metagross in the Hoenn League, taking out Brandon's Regice in the Battle Frontier, defeating Tobias' Latios in Sinnoh League (though it was weakened by 2 other Pokemon beforehand), defeating Sawyer's Aegislash and Alian's Tyranitar and Metagross in the Kalos League. If that doesn't prove Pikachu's power I don't know what does. Pikachu also knows the moves Thunderbolt, Quick Attack, Electro Web and Iron Tail. Having Iron Tail is important for taking out fairy types since Ash doesn't own any Steel type Pokemon. 2. Greninja: Greninja doesn't need an introduction. He's probably Ash's strongest Pokemon when it comes to raw power thanks to the Ash-Greninja form, which puts it on the same level as Mega Pokemon. They also have a mental bond that rivals Pikachu's, which allows them to make decisions quickly and allows them to adapt to any situation in battle. Some of it's most significant showings include taking down Wulfric's Mega Abomasnow (on the second try), taking down Sawyer's Mega Sceptile and nearly taking down Alain's Mega Charizard X (it was a very close match). It also has a reliable moveset of Cut (it seems to be a more potent attack in the anime), Water Shuriken, Aerial Ace and Double Team, which works very well with Ash's hyper offensive fighting style and can dispatch opponents with ease. 3. Krookodile: The only Unova Pokemon of Ash's worth mentioning, Krookodile is an underrated beast. It has quite a few impressive feats, such as defeating Iris' Dragonite, Stephan's Liepard and Sawk and Brycen's Beartic. It has a pretty decent moveset as well, currently knowing Dig, Dragon Claw, Stone Edge and Aerial Ace (though it would be better if we get rid of Aerial Ace and replace it with Crunch, a move Krookodile has known previously, but Beggar's can't be choosers). 4. Bulbasaur: HEAR ME OUT. I do believe that Bulbasaur is an amazing addition to Ash's best team and is better than Sceptile. The first point I have is that it was on Ash's team from Episode 10 to Episode 225, through Kanto, the Orange Islands and Johto, which I think is the longest a Pokemon has ever been on Ash's main team (excluding Pikachu), which leads me to believe that he is very well adapted to Ash's battle style and can perform extremely well in any situations and can last against opponents stronger than him. Some feats include taking out Jeanette's Beedrill and Scyther, Rudy's Exeggutor, Jackson's Magneton and Meganium and Brandon's Solrock. Bulbasaur currently knows Vine Whip, Razor Leaf, Solar Beam and Leech Seed. Not the best moveset but still decent. 5. Infernape: Way better than Charizard. Has many feats to it's name, like controling it's Blaze Ability, taking out Fantina's Mismagius and Driftblim and took out Paul's Ninjask and Electivire. Currently knows Dig, Flamethrower, Mach Punch and Flare Blitz. 6. Snorlax: Everyone seems to forget about this absolute Unit. It currently knows SIX moves (Body Slam, Headbutt, Hyper Beam, Ice Punch, Rest and Protect) and has taken out tons of fearsome foes, such as Sumo Wrestling a Feraligatr, taking out Clair's Gyarados and Kingdra and taking out Greta's Hariyama and Medicham. That's it. Post yours below. This took way too long lol. 1. Pikachu (obviously) - Is Ash's starter and is one of three (currently) Pokémon to have beaten a Legendary Pokémon. 2. Charizard - has a ton of feats including beating a Legendary Pokémon as well as beating three Pokémon of a strong Trainer in a row, with two of them having a type advantage over him, and one of those having a quad type advantage over him and being basically immune to Charizard's standard finisher. 3. Greninja - has a special form that has demonstrated the ability to keep up with Mega Evolutions. 4. Sceptile - Another of Ash's Pokémon that has beaten a Legendary Pokémon. 6. Krookodile - Was Ash's strongest Unova Pokémon by far, having beaten Iris' Dragonite during a tournament where it was running roughshod over everything else. Special note - I strongly considered putting Infernape as Ash's sixth Pokémon due to his power and Blaze, but thought that type coverage would be better in a team setting, especially if he has to deal with a strong Electric-type Pokémon, especially since Ash has two Pokémon that are weak to Electric attacks and only one other on this team that resists them. Spider-Phoenix and LilligantLewis like this. Seriously though those 6 are pretty much accepted as Ash’s “best 6” by most people here. Some might complain that Infernape and Charizard shouldn’t be on the same team but honestly a Pokémon’s raw capabilities (power, speed, durability etc...) have always been more important than stuff like type diversity in the anime and also it's just too much of a waste to keep either of these Pokémon on the bench given their resumes. Regarding Sceptile vs Bulbasaur; sure Bulbasaur was impressive against Brandon but Sceptile is top Grass type. It soloed 2 of Spencer’s Pokémon including his Ace Claydol when it took the combined efforts of Heracross + Swellow (both of whom are worthy of Ash’s 2nd string team) to beat Spencer’s other Pokémon. In addition Sceptile was able to take down Tobias’s league sweeping Darkrai and while sure Darkrai had battled before, it had also used Dream Eater multiple times, so it most likely had the majority of its health when it got struck by Sceptile’s Leaf Blades. It’s worth noting that even the other Sinnoh League finalist with all 6 of his Pokémon couldn’t take down this Darkrai. Spider-Phoenix and Ash-Pikachu like this. Bayleef had some decent battles but is strictly average, not strong but not weak, probably lower tier. Torterra started off good as Turtwig but then became the Yamcha or Gohan of Ash's team losing every single battle. Snivy again is low tier due to not evolving, and Rowlett may not evolve either so it's kinda just there now. Man, Ash's grass pokemon kinda get screwed over when you think about it. LilligantLewis, Ash-Pikachu, keepitsimple and 1 other person like this. Greninja (Ash-Greninja) > Pikachu > Charizard > (Blaze) Infernape > Sceptile > Snorlax. This is definitely Ash's best team overall pre-SM without doubt. Taking SM into considation, Dusk Lycanroc comes in place of Snorlax. 2. Charizard, some people tend too put Charizard above Pikachu, which is obviously wrong. Some people also put Greninja or Infernape above Charizard, which is also laughable, since Charizard never had too activate its ability too slay. 3. Sceptile is stronger than Infernape. I don't count its win over Darkrai as a strong feat though, since it was a combined group effort. 4. Infernape is Ash's 4th strongest mon, but weaker than Charizard and Sceptile, since he needed too activate its ability too often, meaning it was on its limits, unlike Sceptile and Charizard, who can still grow because of this. 5. Snorlax. It has six moves and is a reliable asset on Ash's team. 6. His sixth Pokemon is debatable, since you can put multiple Pokemon on this spot: Krookodile, Glalie, Donphan, Bulbasaur, Squirtle and Talonflame. Yeah I’d rather not get into everything that’s wrong with this part of nickdt’s post. I’m just going to correct this misinformative claim that Greninja without his wins/losses in A-G mode has a worse record than Talonflame and Hawlucha. Talonflame (9-9-1 = 10-10) and Hawlucha (9-9) both have an even number of wins and losses while Greninja has far more wins than losses (12-4 if we don’t factor in “cleaness” and 12-3 if we do factor in “cleaness” since Greninja’s loss to Sceptile in XYZ 26 was about as much his fault as Charizard’s loss to Dusclops was Zard’s fault). The irony is that A-G actually has a worse w/l rate (6-3 and 6-2 when considering “cleaness”) than Base Greninja which is just another piece of evidence that better w/l rates =/= better Pokémon. In short Talonflame and Hawlucha have a 50% overall w/l rate whereas Greninja (when not counting results attained in the A-G form) has an overall w/l rate of 75% and debatably 80% if only “clean” results are considered. Regardless it’s clear that the w/l record claim made in this post is utter nonsense from a factual standpoint. There is so much wrong with what I’ve quoted that it’s not even amusing anymore; if any member (barring the author of this post of course) does consider (at least some of) the contents of what I’ve quoted here to be reasonable then please post so and I’ll gladly go into more detail. LilligantLewis and Akkipeddi like this. That;'s the most ridiculuos post i have ever heard. Base greninja was anyday stronger than talonflame and hawlucha, i dont know where you get this idea about talonflame being superior to greninja. As AG not cuntable, it was a mega version without any keystone. Greninja might not have had much wins compared to Talonflame but the quality of his opponents were eons better than the things like Machoke and Jumpluff Talonflame faced. Anyway my answer to this thread is the usual Pikachu/Greninja/Charizard/Sceptile/Infernape/Snorlax group (didn’t include any SM Pokemon as the series hasn’t ended yet). Spider-Phoenix, keepitsimple and ash&charizardfan like this. Y over X because Greninja only has one (albeit it's strongest) water move and Y provides a much needed ground immunity whilst going head to head with flyers. It also increases not only its own power but also Infernapes fire moves and Sceptiles Solarbeam making it a better team player. If SM were allowed, I'd have replaced Sceptile with a hypothetical Naganadel. But, that's pretty much everyone's main guesses. Kanto is his homeland, make sense a half of them are from there (yeah, yeah, Orange Islands for Snorlax). Aside heracross and maybe noctowl (by Sinnoh), Johto haven't much to offer and many of his powerhouses are from Houenn, Sinnoh and Kalos. Unova is too unbalanced to consider. But I stand by my choice of Infernape over Charizard. Okay but what about Krookodile over Charizard? Charizard was able to dominate Iris’s Dragonite who at the very least (when battling properly) would be very competitive with Krookodile making Charizard a much superior choice. You say Krookodile adds type diversity but why would anyone really care about that when Charizard showed he could take down a Blastoise not to mention that you still end up getting type overlap by picking Krookodile since both him and Greninja are part Dark and more importantly this results in half the team being weak to fighting and bug. While the anime seemingly removed the formal term “lvl” there’s still the notion that a Pokémon gets stronger as it gains more expereince a.k.a “lvls up”. In this sense consider an in-game case where we have a lvl 60 Krookodile and a lvl 85 Charizard; would mildly better type diversity really be worth such a vast difference in raw expereince and capabilities? I’d honestly have to say no! Also GPICSS easily has a better type resistance/weakness chart than GPIKSS (check for yourself ). Regarding the first bolded part, it's just your speculation, Ash's Charizard still hasn't gotten a Mega form yet in the anime. Regarding the second bolded part, I'd have to presume that you very likely didn't watch the Necrozma arc, where Ash released Poipole back into its own world without Poipole even evolving. Charizard and sceptile are the only pokemon who dont have there special powers as of yet and both can mega evolve, but for some reason writers decided to overlook them and gave the mega forms to ash's rivals when these two aces are the reason why both charizard and sceptile species became both legendary and crowd favourite. Genaller and LilligantLewis like this. You say Krookodile adds type diversity but why would anyone really care about that when Charizard showed he could take down a Blastoise not to mention that you still end up getting type overlap by picking Krookodile since both him and Greninja are part Dark and more importantly this results in half the team being weak to fighting and bug. I'm not saying that Charizard is weak (he's one of Ash's strongest Mons) but I feel like Krookodile will just be a better for the team since we already have Infernape, who's fighting moves will come in handy more than Charizard's flying moves. Also the type weakness is there, but I don't really mind. While the anime seemingly removed the formal term “lvl” there’s still the notion that a Pokémon gets stronger as it gains more expereince a.k.a “lvls up”. In this sense consider an in-game case where we have a lvl 60 Krookodile and a lvl 85 Charizard; would mildly better type diversity really be worth such a vast difference in raw expereince and capabilities? I’d honestly have to say no! The Anime and the Games are two different canons, the Anime takes WAY more liberties than the games. We still don't fully know what Lycanroc can do yet. That's why I said that Sun and Moon Pokemon won't be considered. Also I'd hardly call Lycanroc an "Ace". He's currently Ash's best Alolan Mon (If we aren't considering Pikachu) and Ash still has spaces on his team for new members so we don't know what will happen. Also back when XY was airing people were saying that Noivern would be amazing and that it would be in Ash's top 3 with Greninja and Pikachu but it completely sucked. You’re right they are very different.... in the anime type matchups mean far less than they do in the games and a Pokémon’s raw capabilities are far more important. I was just trying to make an analogy before but whatever; the undeniable fact of the matter is that Charizard is objectively a substantially better Pokémon than Krookodile hence it makes zero sense to have Krookodile over Charizard. Even in terms of overal team resistance/weakness, Charizard is objectively the superior choice. What part of this do you not understand? The only benefit of Krookodile over Charizard is getting Rock coverage (and Dark if we can give them a moveset comprising of any of the moves they’ve previously used though in this case Zard gets Seismic Toss which in the anime is far superior to Infernape’s Mach Punch) though as I’ve already said the benefit of additional type coverage is far smaller in the anime than in the games. 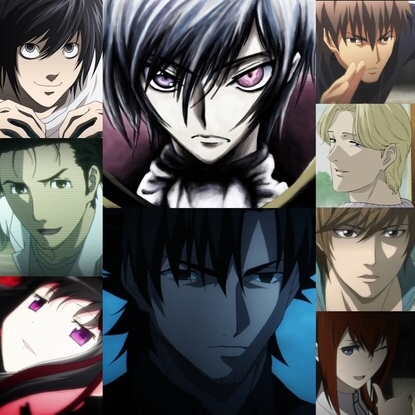 Also (not that this is necessarily relevant) the games serve as the default expectation for the anime and hence serve as a valid source of information when trying to understand various elements in the anime as long as that information hasn’t been contradicted by the anime itself (in which case the information in the anime would obviously take precedence).